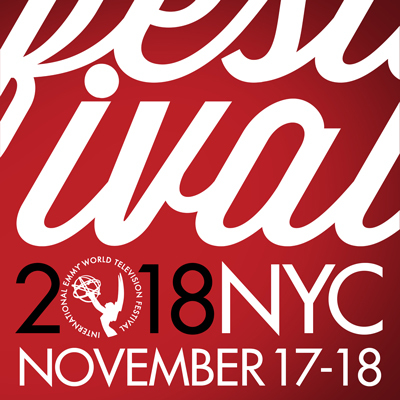 Over 600 television professionals from over 60 countries convene annually in New York City for the International Emmy® World Television Festival. 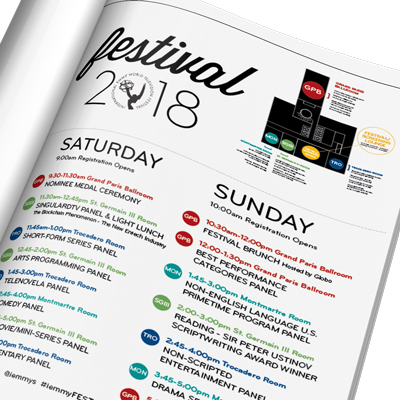 The Festival takes place the weekend before the International Emmy® Awards and is the only place where one can watch all the nominated programs, meet the creators, and attend a variety of special events with key members of the global television community. The Festival is open to all International Academy Members, Nominees, Semi-Final Judging Hosts & table/ticket holders for the International Emmy® Awards. The 2018 International Emmy® World Television Festival took place November 17-18, 2018. 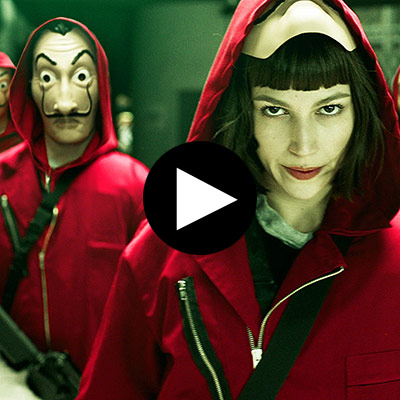 Watch Nominees become Winners at the International Emmy® Awards Gala. For partnership opportunities contact the International Academy’s Senior Director of Communications & Partnerships, Eva Obadia, eva.obadia@iemmys.tv or +1-212-489-6969.